Hi! 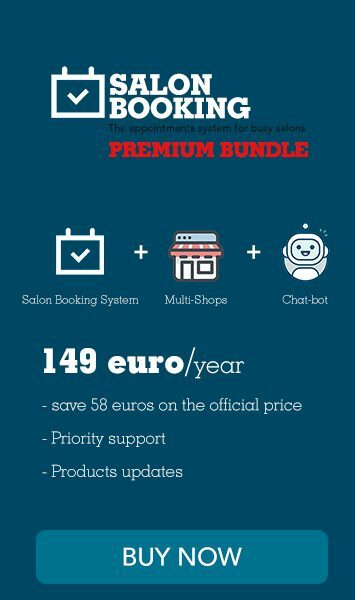 Would you help us show the world your experience with Salon Booking System plugin? If you are happy using our tool to manage your salon’s reservations there is a way to get a free license renewal. Shoot a short video with your own phone, inside your salon, and tell the professionals like you why they should choose Salon Booking System. The first 10 videos received will get a free license renewal. Let’s shoot your video now!